Tomorrow is the big day! I can't believe that this time tomorrow D will have got through his first day of nursery! Those all important first days of both nursery and school are probably more daunting to us parents than they are for our children. Preparing for the start of education is a must in my eyes. Starting your children on the path to education and what they can expect from nursery and school can be achieved in many ways. Sitting down and talking about what they will be doing is a great way to start and D got really excited about learning what he will be doing each day. He will mostly be learning through play and making new friendships with his class mates. Starting off the learning phase at home means your child can progress at their own speed and can get one on one help from you before they're in a class of 20+ children. D, Simon and I have been completing little phonics based exercises for a few months now but without knowing what way the nursery and school will teach him can be hard! So when I was contacted about trying Phonics School I knew this would be something of interest for now only us but all you Mums and Dads also embarking on the early years education journey. Phonics school is a children's television programme with the purpose of teaching children aged 3 - 5 about phonics and how to both read and write phonics in a fun way. The whole programme series complies with the current curriculum in place for children aged 3 - 5 in schools and nurseries across the county. Each episode in the series focuses on one, two or three letters in the alphabet. The letters in the series are all called Phonikers and each Phoniker is named its phonic sound. The Phonikers all go to school where they learn all about themselves. They learn their phonic sounds, shapes and how to control their magic powers, each Phoniker can change into any object that starts with their own sound. In order to change back into their letter form they need to trace their shape. The programme has been developed by experts for the early years foundation stage and certified by the BBC for worldwide distribution. 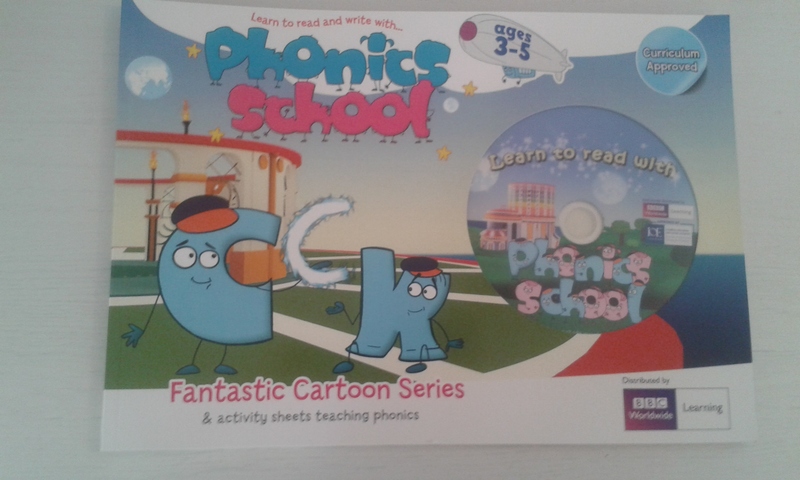 We received the phonics school learning pack which is the DVD of series one (90 minutes of Phonics School episodes - 16 episodes) and a large work booklet with a page for each Phoniker. The only episodes without a page in the booklet is the episodes which are about blending together and writing their name. 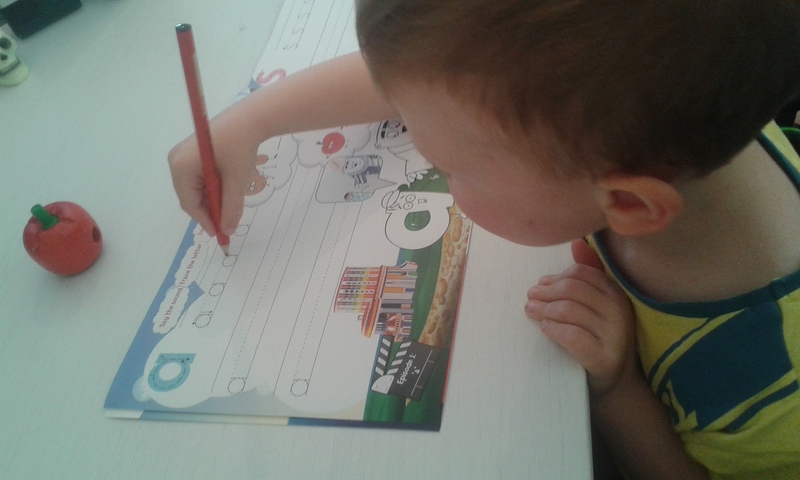 D loves learning, he is fascinated by phonics and how he can learn to write them if he tries his best every time. We did have trouble before when he would just give up and refuse to do any little work sheets got for him and would come back to them a few days later or he would find a different sheet and want to do that instead. With Phonics School we didn't have that problem in fact D wanted to keep watching and doing the activities as much as possible! He still asks every day if he can watch the Phonikers, we've made good progress in the book although we've been trying to spread the activities out and have only completed about 9 pages in the book. D has however watched every episode at least twice and doesn't show any signs of wanting to stop! We try to complete one page at some point every day or two. We completed two pages on the first day but D was a bit restless by the end of the second and we decided one page was enough for each session. Each page in the booklet has 3 lines for practising writing the letter which is being focused on. We started using the booklet by completing all three lines with D practicing his letters. and following Master Anok's (the teacher at Phonics School) directions on how to remember how to write the letter down. D knows how to write some letters down mostly letters in his name or letters that are easy to write like l, i, o and c. He has struggled a bit with a and u as he couldn't remember to go back down for the flick. During the first episode of Phonics School a is the Phoniker you learn about and Master Anok did a much better job than I did when explaining how to write a. Something just seemed to click in D's mind and he found it much easier to write a. The start of the work booklet has instructions for parents on how to use the book. It has suggestions on what should be done and in what order. The first step is to watch the episode then talk about moments in the episode that your child liked and what each Phoniker turned into during the episode. It suggests to ask them to find you an object at home that starts with the sound. As you can see in the photos above D found an apple for a, Sqirmtum (from Tree Fu Tom) for s and Twiggs (also from Tree Fu Tom) for t. D did need some encouragement to pick items up and say their name then compare it to the phonic sound he wanted to find. Then your ready to start tracing the letters and completing the page in the work book. The last page of the book is certificate for your child once they have completed the book. I love that this has been added to give your child a little something for all their hard work. 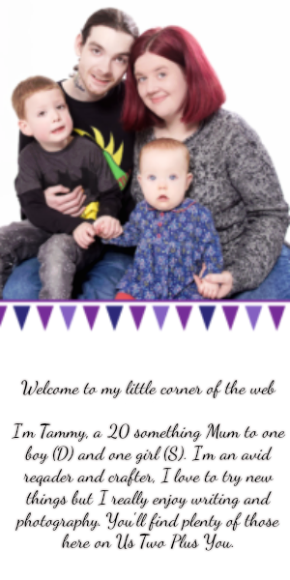 The certificate has a space for filling in your childs name. I think I will let D write his own name in the space when we reach the end of the book so he can practice after the last episode in the series. 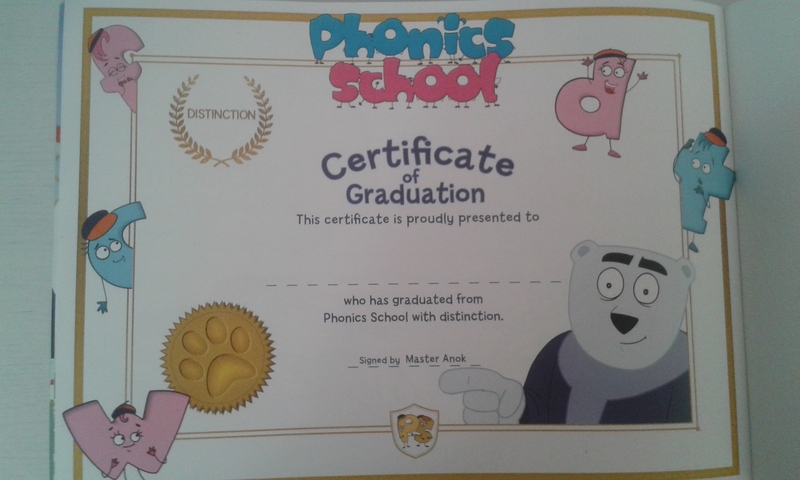 Phonics school has made learning phonics much clearer for D and he has developed a love for Phonics School over the last 2 - 3 weeks. 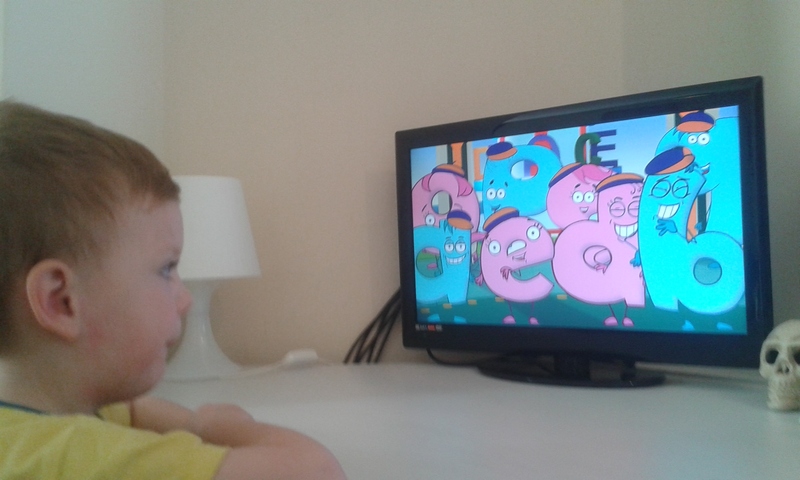 Learning through watching a programme which is both fun and entertaining is enticing for children around D's age. I was impressed with the clear and easy to understand instructions Master Anok gave both the Phonikers and D throughout each episode. I understood how I should be describing the way to write each letter out to D and how to make the letter sounds properly as they didn't have phonics when I was at school! I do think that we will still use the DVD long after we have finished the booklet. Once the booklet is complete I will look into more of the series and perhaps see if I can get more work sheets for the DVD we have too. I would recommend the Phonics School series to all parents of children who are getting ready to start school or nursery. I do also think that it would be a valuable resource for children who are in school already but would benefit from an extra phonics boost at home too. The series is also perfect for keeping children in the learn frame of mind throughout school holidays and for keeping up with what your child is learning in school. Children and adults can learn about phonics and the way they are taught in school. You can purchase the DVD and work booklet in the Learning pack by clicking the link. The learning pack costs £16.99 You can also digitally download the series on Itunes and Amazon Prime. You can purchase the book to acompany the digital series for £5.99.